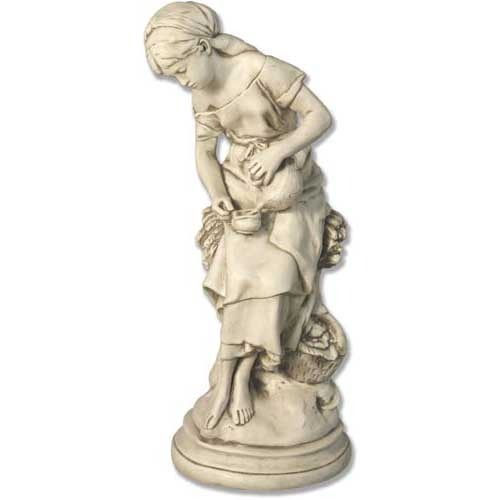 Statue of a young lady pouring water from a jug into her cup. This piece reminds us of the days when we had to get water from a well. By pulling up a bucket. A nice garden piece.